26th St. and Canal St.
John Schwickrath was born in Rhine, Bruxs, Germany in November of 1819. He settled in Chicago by 1851. John married Margaret (Maggie) Behrens. Maggie was born in Langenfeld(t), Germany in January of 1831. In 1887, they were living at 404 26th St. (now 26th St. near Canal St.). Maggie died on 1 October 1887 and John died 4 April 1896. John is buried in St. Mary's Cemetery in Evergreen Park, Illinois. Maggie's place of burial is unknown. For further details, contact the Chicago Genealogical Society. 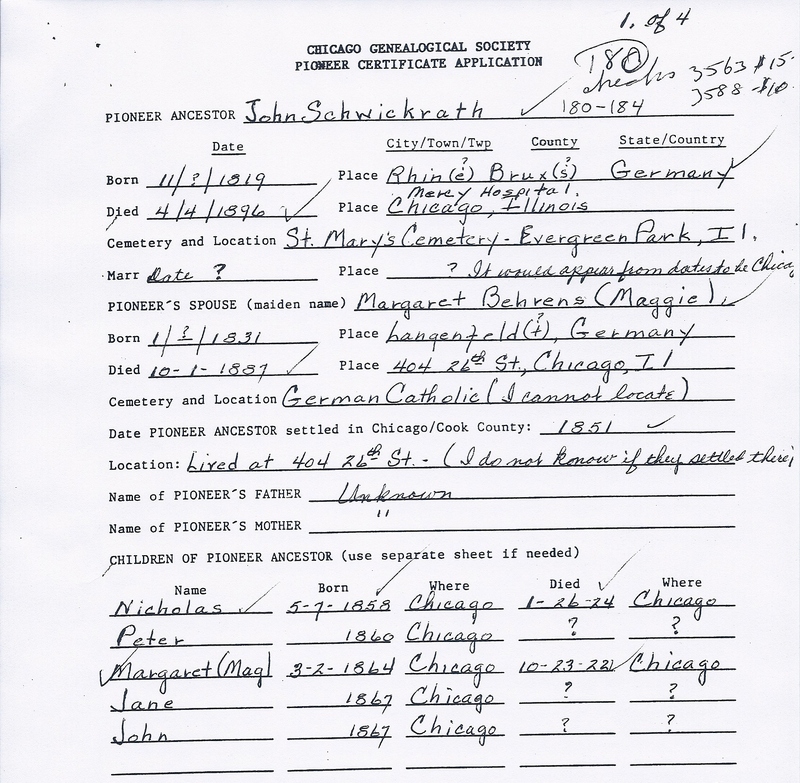 John Schwickrath is Pioneer Ancestor numbers 180-184.